Continuity mistake: Wilma opens the bedroom door to find Fred covered in flour, but in the next shot the bedroom door has vanished while Fred stands in the doorway. Trivia: The show's original title was "The Flagstones.". 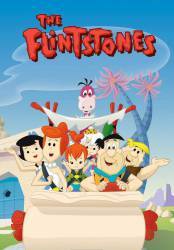 Trivia: This was the first episode to have "Meet the Flintstones" as the show's main theme. Fred Flintstone: Yabba Dabba Do. Fred Flintstone: I love my dear sweet mother in-law. My mother in-law is a doll. Attendant: Are you feeling all right, mister? Fred Flintstone: Huh? Yeah. Yeah, I'm okay. Fred Flintstone: Poor guy, he must have been standing in it for hours.